To the Village of Kenmore, I have never had as intense a reaction to something you or any other municipality in Western New York has ever done as and I did this morning; utter shock and surprise of what I saw when I turned onto Delaware Avenue, disbelief in your decision to act as you did. This was something I never thought I would see, least of all from you. I have only one thing to say to you right now: I love you. When did this actually happen? I don’t know, but I didn’t notice it until just this morning, and that paint looks pretty fresh to me. Delaware Avenue through the Village of Kenmore is now one lane in either direction with a center turning lane. There is still parking alone each side just as there was before. The original center double yellow is still there, so it looks odd running down the middle of the newly painted turning lane. Look, let’s all just admit it right now, there weren’t two lanes. There weren’t. There was one lane and a parking lane. Granted, that one lane was nice and wide, but it was still one lane. That second lane that you insist was there because the old lady in front of you is sticking to three miles under the speed limit? It wasn’t a lane. Do you know how I know this? Because you were constantly cutting in front of me when there was a parked car coming up. For years I’ve been asking why there isn’t a center turning lane instead of the unmarked free for all that Delaware had become. Unfortunately, I was only asking myself as I was stuck in this traffic. Clearly a few other people had the same idea, most notably the Department of Transportation. Since at least October this idea has been gaining momentum, with most of the support coming from Kenmore business owners. I might still take credit for this one though. Hopefully, more so then relieving my own awkward traffic-induced stressful driving, this new layout lightens some of the congestion that would build up due to drivers making a left turn. When a vehicle needed to make that left and there was a parked car preventing traffic from moving around that vehicle, traffic could potentially have backed up for a couple blocks. With a designated turning lane traffic can continue to flow. More importantly, and the reason many businesses were supporting this move, the left turning lane gives easy access to the many parking lots situated behind those businesses that face Delaware Avenue. Yes, there are parking lots back there, I swear. And now you can make that left and get to them without backing traffic up to Delta Sonic. This is a great move for Kenmore, and the evolution of Delaware Avenue, as shown by a similar plan put into effect in Downtown Buffalo. But this is beneficial not only for drivers passing down Delaware Avenue. When car traffic is better controlled and able to move efficiently, the roads become safer for pedestrians as well, allowing them time to move safely from one side of the street to the other. 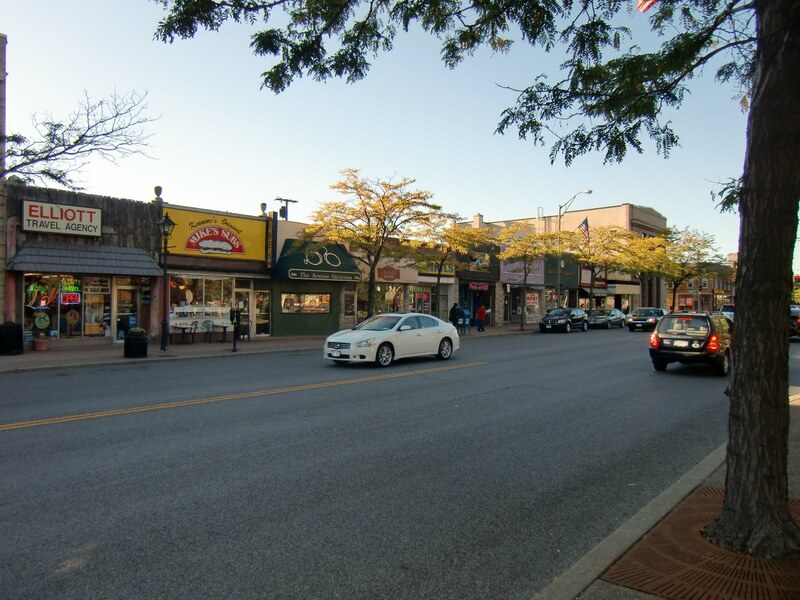 With better access for pedestrians, easier access to parking for drivers, and over all a less stressful ride down Delaware, this simple repainting can lead to a great rise in business for all the great shops and restaurants in Kenmore. Posted on May 30, 2013, in previously published on Buffalo SoapBox and tagged delaware avenue, Kenmore, traffic, turning lane, village of kenmore. Bookmark the permalink. Leave a comment.